As we saw in the “Isis The Prophetess” fragment, gnostic ideas, alchemy among them, predate Christianity. 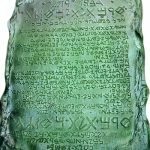 The earliest version of the Emerald Tablet, buried with its anonymous owner at Thebes, is but a fragment of what is basically a “gnostic” magickal text. Alchemy represents a specific delineation of an ancient creative science, that of the triple transmutation. In its broadest sense, Gnosticism represents the world view in which these transformations can occur. 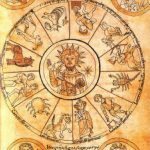 Our examination of the earliest known alchemical texts has shown us that time and timing was a key component in the alchemical process, however the texts themselves do not link that process directly to the end of the world. That link is provided, as subtext, by the gnostic framework from which the idea of alchemy emerged. At the core of Gnosticism lies a vision of the end of the world. 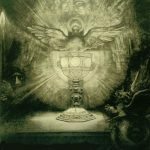 Even before Christianity supplied it with a brand-new mythos, Gnosticism had developed its own unique eschatological flavor. Almost every culture on the planet has some kind of catastrophe myth, usually concerning a flood. In many traditions, the disaster represents the fall of a golden age; in a few, it represents the punishment of God for mankind’s evil ways. 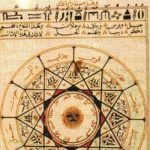 Gnosticism’s peculiar blend of Persian Zoroastrianism, Hebrew eschatology and Egyptian cosmology with Greek philosophical methods is an attempt to synthesize all the ancient catastrophic perspectives into an apocalyptic unity. While keeping in mind that the label “Gnosticism” covers an enormous number of different and often contradictory belief systems, it is possible to sort through its spiritual kaleidoscope and arrive at an overview of a basic gnostic cosmology. 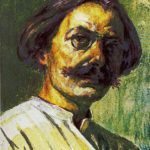 Gnosticism’s main tenets contain both good and evil gods, sometimes inverting the usual perceptions, and a sophisticated version of the End of the World. At the creation of the world, the spirit of Light was imprisoned by the powers of Darkness, trapped in human bodies as separate sparks of light. The gnostic sects held that the goal of their knowledge was the path of return, the ability of the individual sparks to return to the Light through a process of redemption. This world and its history are the work of the evil demiurge, sometimes called Iadalbaoth, designed to hold mankind back from its transcendent destiny. As each soul is redeemed, it travels back to the shattered source of the divine Light. The soul returns its own small spark of light to the source, which slowly, as more and more souls return to it, becomes whole again. Eventually, when all souls have returned, the physical universe, being now completely without Light, will end. 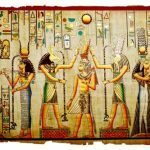 This “eschatology of Light,” synthesized from Egyptian, Persian and Hebrew elements, can be seen as the framework supporting the vast diversity of gnostic traditions, including the new messianic form of Judaism that would become Christianity a century or so later. Indeed, the gnostic sects quite naturally believed that they possessed the true meaning of Christ’s teachings. Most of them did not believe in a literal Jesus, born of flesh and blood who suffered and died. To the Gnostics, Jesus was a divine messenger, an angelic being disguised as a man, sent to reveal the secret knowledge of the path of return, the way out of this world of Darkness. In this view, Christ’s return will not be physical, but spiritual. The resurrection becomes a metaphor for the experience of a spiritual triumph over death, and therefore available to everyone. The gnostic insistence on a direct experience of salvation, a personal return to the Light, contrasted sharply with the emerging orthodox position that held that only the apostles, who witnessed the resurrection, could hold and attribute spiritual authority. The Gnostics raised the ante, so to speak, by adopting Mary Magdalene, in their view Jesus’s wife and the sister of Martha and Lazarus and therefore the first witness to the resurrection, as a key gnostic theorist. As we noted above, some of the gnostic sects held that Mary the 1st century Hebrew alchemist was in reality Mary Magdalene. For many more gnostic sects, Mary, mother, wife and sister of the god/man, was simply Isis, the Queen of Heaven. 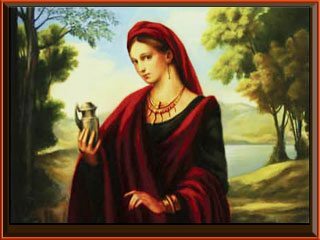 It seems strange at first to think of Mary Magdalene as one of the founders of alchemy, Mary the Jewess. Orthodox Christianity became the only Christianity, obscuring much of the truth about the 1st century’s incredible intellectual and spiritual renaissance. Behind that efflorescence, however, lay the gnostic world view with its eschatology of Light offering a hope of return to the divine source. It would not be too far from the truth to say that orthodox Christianity was a political development designed to control access to that spiritual reality. And yet, the more one studies the Gospels and the early gnostic alchemical literature, the harder it is to deny that Christianity is an expression of the same spiritual tradition. Only in the Gospels, and other early Christian texts, are the transformational process and eschatology portrayed as part of the same seamless whole. If we can see Jesus in his original context as a magician, then it isn’t much of a stretch to see his wife as an alchemist.